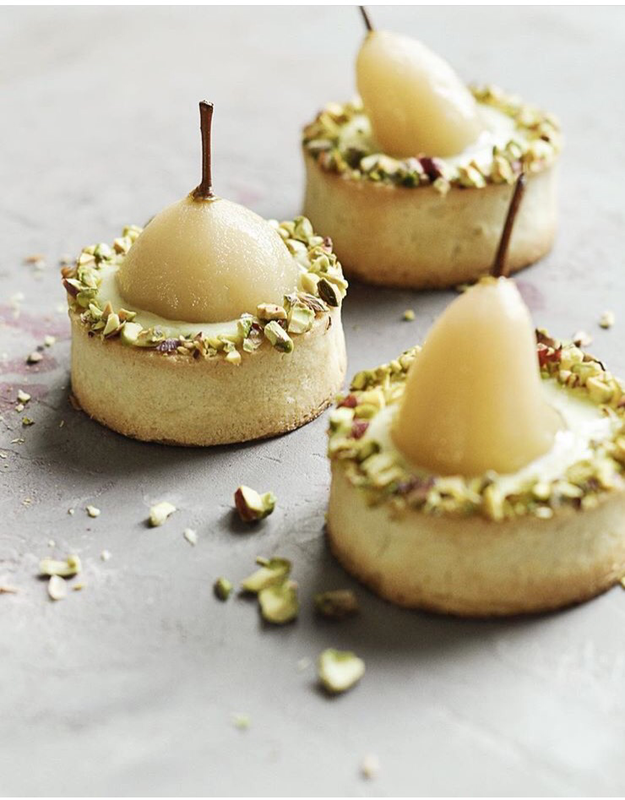 Chai poached pears – that probably tastes quite excellent. At least for a dessert enthusiast like me. If you would like to give a try, you’ll find the recipe here: @againstallgrains’s or via williamssonoma on Instagram. Yoghurt, pistachio, honey & sliced pear – a nice & healthy breakfast option. We have entered a period that usually occurs one or two times a year in our home. My husband wants to get in shape but prefers to not exercise or work out. Our boys don’t care anymore, they eat healthy most of the time. So I have to support him in his efforts by participating. (at least at home). I have eaten healthy as long as I can remember & so does the rest in the family. A heritage, I guess. My boys have been vegetarians for around five years & I have thought to follow their path relatively long time now – but so finally, I decided about two months ago. Fortunately, desserts are not affected by the decision. So here’s a lovely dessert – simple but appealing – thinly crisp bread & pear slices, ricotta & syrup. With a cup of coffee!